Talk for Careers Springboard, September 15th – Developing your Personal Brand at 7:30pm, in Gerrards Cross. Have you ever considered what your unique selling point (USP) is, what makes you stand out from the crowd? Whatever your chosen sector, there will inevitably be a whole load of competition, both on the high street, and probably on the internet. Do you make your customers feel special? An area it is worth considering now, at the start of your journey, is how special and unique you make your customers feel, right from day one. Customers are only going to refer you to colleagues and potential new customers if they have received excellent service from you. Here are three top tips for how you can stand out from all your competitors by really looking after your customers. Think about any customers you have lost touch with. Simply re-contact a number of former clients and you will be amazed at the amount of business that can be generated by this apparently straightforward process. Reasons to call might be an article you have seen that relates to their business and might be of interest to them, or perhaps a personal hobby of theirs. It might just be a regular phone call to say hi – you might be surprised how many people will say “I’m pleased you called, can you…?”. Another personal touch when you have a new client is to drop them a line when you receive payment of your invoice to say thank you, and that you look forward to working with them again in the future. Again, the personal touch makes all the difference, and I would suggest that you would be one of the few suppliers who do this – who is the customer more likely to remember when they want to use a supplier again? The final tip is to be a customer on a regular basis. Put yourself in your customer’s shoes and look through your customer’s eyes. You are likely to see things very differently. Look at a potential client’s business in detail and get a good understanding of it, then ask yourself what you would be looking for in a supplier if you were them? So, ask yourself – how could you make your customers feel special? Have you got a business idea? Robin Sieger, a motivational guru tells us about a friend of his, who having reached a senior position with the BBC over a 20-year career, was unexpectedly made redundant. It seemed that some external consultants had advised senior management to reduce the headcount. He was obviously upset that his senior managers did not appreciate his worth, but he was also worried about the future, having become so comfortable in his role, and in the stable environment around him. We are all guilty of sitting back in the comfort zone and it is only through times of crisis that we are forced to reassess our situation. So, over a drink Robin asked him to take a step back and see the redundancy as an opportunity to take his professional expertise to a wider market, with a glowing CV that included a host of enviable awards and credits. For 20 years his friend had been in all the seats except the driver’s seat, and his journey had been controlled by others. So what happened to Robin’s friend? Well, when it became known that he was leaving the BBC, he received so many offers that he decided to go freelance and chose the projects that most interested him. They met for lunch over a year later and his only regret was that he hadn’t done it sooner. Perhaps we spend too much time waiting for something to happen, and when we don’t get what we wish for we get angry or insecure and find a mountain of excuses to justify to the world and ourselves. Rather, shouldn’t we be in the driver’s seat and setting our own course, with the understanding and acceptance that the journey will not be easy or straightforward but, at journey’s end, will leave us in no doubt that it was worthwhile. The germ of the idea of targeting scientists for assistance with their CVs grew from helping a friend’s son, who was planning his career after graduation. He wasn’t sure about his chances of being accepted to do a higher degree, a doctorate in bioscience. This was Linda’s first experience of looking at a CV for a scientist early in their career. So, Linda and Paul joined forces, offering their help, not just with his CV, but also with his career plan. Because of their unique combination of expertise, they could discuss with him what life was like as a doctoral student and also give hints and tips about covering letters, personal statements and his CV. Curriculum vitae for scientists ARE different – scientists and, often, IT professionals too, have very long lists of reference material – for scientists, their publications and in IT, software expertise or contracts – which are often the main measure of their suitability for a role. This means that their CVs may be much longer than the typical 2-3 pages that are ideal for other jobs. Writing a CV is not rocket science, nor is it brain surgery; but the structure of a scientist’s CV is critical – recruiters and potential employers have limited time and pay most attention to the top of the first page and, depending on the seniority of the role, to the list of publications. Many scientists do not write a CV until they are forced to and may struggle to do so, despite their experience with writing scientific documents. Is coaching a useful management skill? Welcome to our latest post. You may be thinking it’s been a bit quiet. You’re right! I have taken some time off in August, which was wonderful. 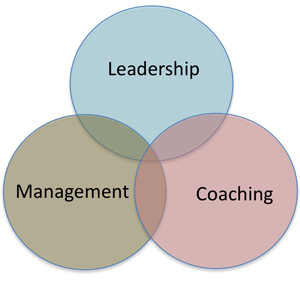 In this blog I focus on coaching as a management skill and a true leadership skill. What is it exactly, how do you do it and what are the benefits? What about if you don’t manage people, is coaching relevant? Yes, because as a skill set you still have yourself to manage and your peers. Before we can check out how useful coaching skills are to the line manager we need to define what it is. I like the way Myles Downey, in his book Effective Coaching, describes coaching as… “Potential minus interference is equal to performance”. What he means by this is that performance can be maximised and potential released if the stuff in the way can be removed or minimised. So someone can perform better in their job, i.e. you or a team member, if attention is focused on the right things and doing them right. Another way to consider coaching is that it’s about the future; it’s about achieving results and supporting someone through that process. If you manage people, coaching is a very powerful skill to have at your disposal. Imagine a manager and direct report having a conversation. It’s all about agreeing what has to be done namely setting some targets for the future. Having this role clarity can be a revelation in itself. Then by working backwards to the current day you can define what gap is there to fill to meet the targets. Having identified this gap, the line manager asks his/ her team member for all the possible options to meet that gap. What are all the ideas and possibilities that help achieve that target? This is the creative bit where the line manager mostly listens and when once the team member has exhausted his or her ideas only then can the line manager chip in theirs. This way you can tap into the resourcefulness of your coachee. After all, the manager as coach does not have to have all the answers! The last part of the process is agreeing a way forward. Out of all the ideas generated which does the coachee feel are the best and easiest? What timescales are realistic? Who can help or provide resources? What could go wrong and how can this be worked around? This is very similar to project management in getting the best ideas into action plans. What about if you don’t manage people; how is coaching relevant? If you don’t manage any people then this is still relevant in that you do manage yourself and self coaching is a very useful discipline, as is coaching peers. Colleagues can benefit enormously from support and listening but probably the most helpful bit is asking questions about their assumptions and giving them to think aloud in an uninterrupted way. In her excellent book Time to Think, Nancy Kline talks about the increase in ideas and energy from really questioning and listening with peers. So what are the benefits of coaching to the organisation, the manager and the staff member? Why bother with this coaching stuff? The answers to these questions will have to wait for another post, but if you want to get in touch in the meantime, please email, tweet, or leave a comment below! Make sure you haven’t decided already. Give yourself a chance to consider all the alternatives and resist impulse. Gather as much information as possible before deciding. Invest in finding information about the situation and options as this is time and money well spent to minimise risk. Imagine the consequences of your decision. Consider not just the short term implications of your decision but the long term too. Persaud recommends projecting yourself into the future and looking back to the present and imagine what advice you would be giving yourself? If you take this set of decisions what does it stop or limit you doing? What doors are you opening and which are you shutting? Think about poor decisions you have made in the past. What can you notice about any themes, vulnerabilities, weak spots? What can you learn to avoid repetition? There maybe some sense of discomfort but facing up to our poor decisions through learning and becoming wiser encourages progress and lessens any sense of failure. Consider all the possible alternatives. As mentioned earlier use your ‘creative, ideas’ side of your brain. Write a long list of options. Pay particular notice to the worst case scenario. Having identified such options be clear about the risks and consider whether you are prepared to sacrifice x for y. Seek guidance and support. Talking decisions through can help clarify your thoughts. It can also show up personal prejudices, things taken for granted which may actually be quite unhelpful. Observe good decision-makers in action. Who are the role models you can learn from? What do they take into account that perhaps you are neglecting? Sometimes simply waiting is a good decision. Making a decision at the right time and avoiding procrastination demands good organisation. If you feel you want to wait and to reflect and then make your decision, don’t forget – make sure you have a memory aid! Don’t get so obsessed with always making the right decision, that you put off making decisions at all. Errors are inevitable, none of us are perfect. Review what works regularly and what isn’t so good and change and fine tune to make improvements. Dame Anita Roddick, founder of the Body Shop, recommends using creative ideas to involve staff to make the best decisions. She used to get her team to write messages on the lavatory walls to say:’ Is this a family- friendly company?’ people were always allowed to write anonymously and the board had to respond at the same time. Roddick describes this as opening up your world and letting the ideas flow. During times of organisational change it definitely pays to balance the needs of the business with the needs of the people by taking a little longer to listen and involve the team to make better decisions. If you do make a poor decision in your work how do you recover the situation? If you are asked by your boss or a key customer into their office for a chat about a balls-up what can you do other than the usual defend yourself and blame others? The emotionally intelligent answer is to search for agreement with your boss/customer. Pepper your responses with agreements. Accept what went wrong and that it shouldn’t happen again. Agree also, that something needs to be done to avoid a repetition. These responses will make your boss/customer feel they are being listened to. So good decisions involve the heart and head, both left side for the logic and the right side for the creativity. Intuition is a skill to develop too. Take time and take a calculated risk. Good decision making – how do you shape up? 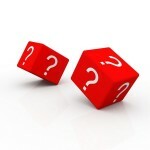 In this post I focus on how to improve our decision making. You may want to make some changes in your professional life or business. Critical thinking, seasoned decision-making and judgement are key attributes for any professional. As is tuning into your intuition to make decisions feel right. Can you improve how you do this? Please read on for some ideas to support and inspire you. If you are considering making demanding decisions in the year ahead, how do you make sure you are making the right decisions? Have you ever made poor decisions? Lost out on something big? Resigning from your job or quitting on a contract on impulse with no other job to go to? Not spotting things because you haven’t thought through the situation from all angles? Getting angry about an issue and upsetting people with whom you need a long term professional relationship? Not acting but procrastinating instead, putting off tasks for another day? Worrying, becoming stressed out and making a decision when you are exhausted? Taking on too much and producing mediocre results? Doing what you always do and expecting a different result? Sitting on the fence unable to make decision one way or the other and frustrating those who work with you? Making a recent decision which just didn’t feel right and with hindsight you should have listened to that feeling? What is really good decision making? Decision making involves making a choice from a range of different options. Sometimes there is so much choice that we feel overwhelmed. It can be complex and incredibly difficult to feel you are making the right choice but there are some helpful ingredients to guide you. Judgement: what is right or wrong? What is ethical, moral, or “green”? What boundaries are you adopting which support your beliefs and principles? Learning from Enron springs to mind here. Values: what drivers and motivators can guide you to feel you are making a decision that will inspire you? Will the decision move you towards your goals and away from problems? Intuition: What is your inner wisdom or gut telling you? Can you answer a definite “yes” to this? If not, listen to what your instinct is telling you. ‘Creative silence’ is a technique where you take 10 to 20 minutes each day when you have quiet time to sit and let the brain make connections without a forced agenda. This helps you make use of your intuition and solve problems as it mimics meditation by going into the subconscious mind. The subconscious mind is very smart and looks for mismatches and solutions. Consider whether there any decisions you made recently with your logical hat on but keep coming back to? There may be a mismatch with your values or principles which you are working through. Reflection: Give yourself time to make an important decision. This is the only time procrastination is helpful when you sleep on something to get some more perspective. Perspective is extremely important in making robust decisions. Having an external frame of reference if you run your own business is vital. If you work in the corporate world make use of colleagues to test out ideas. Experience: What is your past telling you? What have you learned that works well? Creativity: What are all the different options available to you? If you believe you are not very creative use a technique to help structure your thinking e.g. a SWOT (Strengths, Weaknesses, Opportunities, Threats) analysis. If you’re not very high on original thought and work better on building on someone else’s ideas – find that someone! 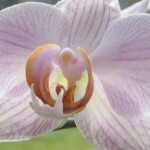 A good website for developing creative solutions to the problems you face is www.mindtools.com. Or more simply, think about the benefits and the costs of your decisions. Do the benefits outweigh the costs? Logic: What are the natural steps to take and in what order? What is the end result you desire and what are the steps to achieve that? Help: Asking for help from others who have been in this situation before or have expertise in this area is a real sign of strength. Stakeholders: Who is potentially involved in this decision and has a view? What will be the likely impact if you don’t involve them? Tap into your emotional intelligence and be aware! Another way to look at this is to simply think about what would the customer want or the end-user? How does the decision impact them? Priorities: If you only worked on one thing – what would it be? What decisions can move this forward? In my next post, I will look at 10 ways to make really good decisions. In the meantime, if you want some coaching on your decision-making, get in touch! and taking you through how to find out who you are and what you want; so now onto the third step! How can you improve your current role and raise your potential? Could you take on a new project? Offer to peer coach? Take on new responsibilities? Experience of taking on any change makes your CV shine more. What training and development you can optimise? Do you want to be mediocre or demonstrate excellence asks Brian Tracey, an Achievement Psychologist? If the latter you will always have good employment. Who can help you? 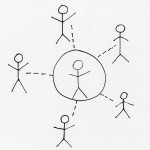 What networking can you do? TIP How can you anticipate future changes and trends in your profession or sector to stay ahead? TIP Find yourself a mentor to guide you and offer impartial advice about the organisation. Who else can you influence, as people give opportunities to those they like best? Leave your current employer for other options? This involves research, research and more research! Internet, trade journals and fairs, plus networking events all provide up to date information. If you want a big change, work on a transitional plan to ease you through and manage the risk. Who can help you? Is it worth investing in some professional guidance and support? What can go wrong and how can you plan for that? How much will networking help? Often when we mention the term networking a look of horror creeps across our client’s faces. They imagine selling, cold calling and all that embarrassing awkwardness of being rejected. Stop there! Think of networking as building relationships, about listening, asking questions, being interested, building trust & rapport in addition to developing contacts. This comes more naturally for some, in others, in true emotional intelligence terms; it can be learned like any skill. How can Personal Branding help you work out what you are selling and who wants to buy it? So is career planning all that it is cracked up to be? It is not the most qualified people who get the best jobs – it is those who are most skilled at managing their skills and finding opportunities. If you don’t invest in your career who will? In this post I focus on career planning. If you work as an employee this is definitely for you. If you’re self employed does this have any relevance? Well yes, as you still want to develop yourself and continue to grow the business and take it to the next stage. So do you really need to plan your career? As a salaried worker if you don’t plan your career who will? Will your manager take as much time, effort and energy in working out career moves for you as well as you could for yourself? Probably not! What about if you are self employed – perhaps it is even more important to plan your development, to have a mentor and take some external frame of reference to be proactive about your business and skills. Will your competition be doing this? enhance your self awareness about what is possible and how your unique mix of skills and strengths changes over time. 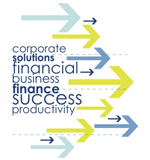 If you are a business owner you can also maximise potential by succession planning. Imagine a ski slope and at the bottom of the slope is the equivalent of the place where most people begin to look for another job. At the bottom of that ski slope you run out of steam and have enjoyed the thrill and buzz of getting there! Similarly, looking for another job when you are at the bottom of the slope, is when you are most likely to be bored, unchallenged and unexcited. This is hard work and a slight feeling of desperation can creep in. Imagine though looking for that role when you are at the top of the peak, you are confident, motivated and energetic. How do you hide those feelings in either situation to a potential employer? They will seep out and help or hinder you. The time to job search is when you are at the peak not the bottom! If you are self employed the time to review your role, skills and development is annually as part of your business review. By understanding who you are and what has shaped you so far and what is important to you in the present you can begin the process of planning and decision making for the future. Work out your satisfiers and dis-satisfiers at work. (You may want to add in outside work too). Be honest and identify what you really want to do. Go for the most likes and fewest dislikes. What are your strongest skills? Develop any skills gaps but do please recognise your talents! “Unfortunately most of us have little sense of our talents and strengths, much less the ability to build our lives around them. Instead guided by our teachers, parents and managers we become experts at our weaknesses and spend our lives trying to repair these flaws, whilst our strengths lie dormant and neglected.” writes author Marcus Buckingham in his books “First break all the rules” and “Now discover your strengths”. What do you most appreciate about yourself? What do people repeatedly seek you out for? Where do you feel you contribute most? What values were you satisfying in jobs in the past that have been a real “high”? What existed in the “highs” that were missing in the “lows”? Think about settings where you flourish? Where do you feel most energised? Why? When you were growing up what activities, experiences and people were you most drawn to? When you feel most creative what are you doing? Consider your commitments, duties and obligations. Draw your life line in 5 year intervals and identify the achievements and any issues. Ask are there any themes? What has triggered moves in the past? What have been your successes and failures? Factor in your values which give you motivation. Sometimes these are known as career drivers. List your skill set, both technical and managerial as well as capabilities. Are there any underdeveloped talents? Define your reputation i.e. how others see you? How can you check this out? Who will give you honest feedback? Draw a mind map of your future options. Where do you see yourself in 2, 5 and 10 years? What are the likely barriers and how can you overcome them? Write your life stage predictor – predict the future likely stages of your life – what you want to do with any large purchases and their funding, factor in pensions and other commitments. Write your retirement tribute to crystallise what you will have achieved. Next time, I’ll talk about your Career planning options – or, if you can’t wait, get in touch!